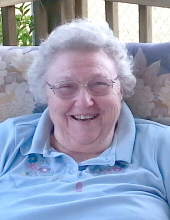 Olivia Helwig Devilbiss, age 84, of Westminster, died Wednesday, February 6, 2017 at Carroll Hospice Dove House after a brief illness. Born July 26, 1934 at Oak Orchard, she was the daughter of the late Robert Edward and Mildred Reese Helwig. She was the wife of M. Howard Devilbiss who died in 2009.Olivia was a 1952 graduate of New Windsor High School, a 1956 graduate of Towson State Teachers College and she received her master's degree from Western Maryland College. She was a teacher/librarian for 35 years in Carroll and Montgomery County public schools. She was a lifelong, active member of Linganore United Methodist Church where she taught Sunday school, sang in the choir and served on and chaired numerous committees. In earlier years Olivia was a 4-H club leader and she was honored as a Maryland 4-H All Star. She was a member of Linganore Grange #410 and a former member of the Strawbridge Shrine Association. She and her husband were charter members of the Carroll County Farmer's Market. Olivia was an avid reader and enjoyed needlework, sewing, vegetable and flower gardening, baking, making homemade jellies, jams and breads for the Farmer's Market and watching the Hallmark channel.Surviving are sons, Robert "Corky" Devilbiss and wife Donna of Westminster, Roland "Bunk" Devilbiss of New Windsor and grandson, Adam H. Devilbiss. She was predeceased by brothers, infant Robert "Buddy" Helwig and Richard E. Helwig.The family will receive friends at Hartzler Funeral Home, 310 Church St., New Windsor 2-4 and 6-8 p.m. Sunday, February 10.A memorial service will be held at 11:00 a.m. Saturday, February 23 at Linganore United Methodist Church, 8921 Clemsonville Rd., Union Bridge (Unionville), with Rev. Stephen Ricketts, church pastor, officiating.Private interment will be held in Linganore Cemetery.Memorial contributions may be made to Winfield Community Volunteer Fire Dept., 1320 West Old Liberty Rd., Sykesville, MD 21784 or to Strawbridge Shrine Association, 2200 St. Paul St., Baltimore, MD 21218-5805. To send flowers or a remembrance gift to the family of Olivia H. Devilbiss, please visit our Tribute Store. "Email Address" would like to share the life celebration of Olivia H. Devilbiss. Click on the "link" to go to share a favorite memory or leave a condolence message for the family.